Bollywood movies always inspire our lives in many ways, there are movies that entertain, some make us cry, and then there are some movies that inspire us to pack our bags and head out to explore our self.So here’s a close look at some of the most popular ‘Travel movies’ of Bollywood that inspires to move one. Yeh Jawaani Hai Deewani is a bright, breezy and brassy film designed for easy consumption. What it certainly is not is ballsy. For all the big ideas about life and the dilemmas of youth that it tosses up in the air over a runtime that’s 20 minutes shy of three hours, it always opts to play safe, vacillating between thoughts of rebellion and acts of conformity. A meditative take on growing up, becoming a man, taking responsibility for one’s actions, it has the courage to go for long periods with no dialogue. Naturally the trip to Spain is not just a trip. It is a journey of the soul. There’s Kabir whose family runs a contruction company. There’s Imran, a copywriter who is a poet in his spare time (and fortunately writes Javed Akhtar style poems). And there’s Arjun, a stockbroker who lives in London and has trouble with commitment. So that’s Abhay Deol, Farhan Akhtar and Hrithik Roshan. And naturally the love of a free spirited good woman Katrina Kaif will cure Hrithik of his permanent state of melancholy. This is one of the few timeless Hindi films of its generation. “Dil Chahta Hai” is a rare film on male camaraderie, on bachelor bonding. It is a fun film catering strictly to urban youth from middle and upper middle class which will find a reflection of their longing and lifestyle in it. Here there are not two but three close friends – Aamir, Akshaye and Saif – who share each other’s good moments and have a good laugh at each other’s goof-ups. Often they pull each other’s leg. And once in a while, leave one of them tearing his hair in desperation. One moment they are soaking in the joys of Nature’s beauty and its shapely creations in Goa. The next moment, they are in a discotheque, shaking a leg, raising a laugh. Travel has been an intrinsic part of all Imtiaz Ali films right from Socha Na Tha to Rockstar but with Highway, the filmmaker takes you on an unforgettable road trip that not only touches you but also leaves you with ample to mull over. Unlike every other sleazy love story, Jab We Met is fun-filled and pleasing. With minimal rona-dhona and drama, no vulgarity, no villain – no fights, director Imtiaz Ali takes us on a scenic and entertaining romantic journey. Imtiaz has handled the story and the emotions connected with it deftly and this paralleled with Shahid – Kareena’s realistic yet dazzling performance makes this movie a fantastic treat which was worth the wait. Dilwale Dulhaniya Le Jayenge is, by sheer dint of originality, one of the best Hindi films made in the last 20 years. Sure, it’s a romance. And we’ve seen enough candyfloss ‘boy flips for bride-to-be after it’s too late to cancel the wedding caterers’ movies. 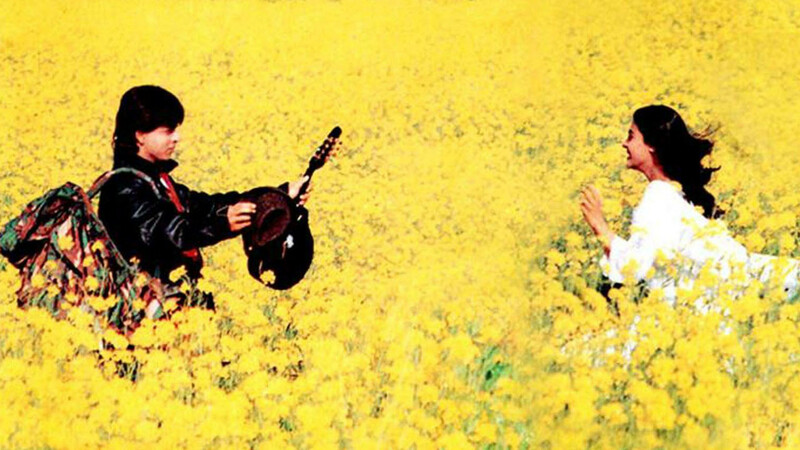 But DDLJ took this further. Raj, the protagonist, had, despite his shirt-exclusively-half-tucked-into-pants boyishness, solid character. Therefore his twist: the bride must be had via pursuasion, not purloining. ← Social Media not just fills your Heart but wallets!